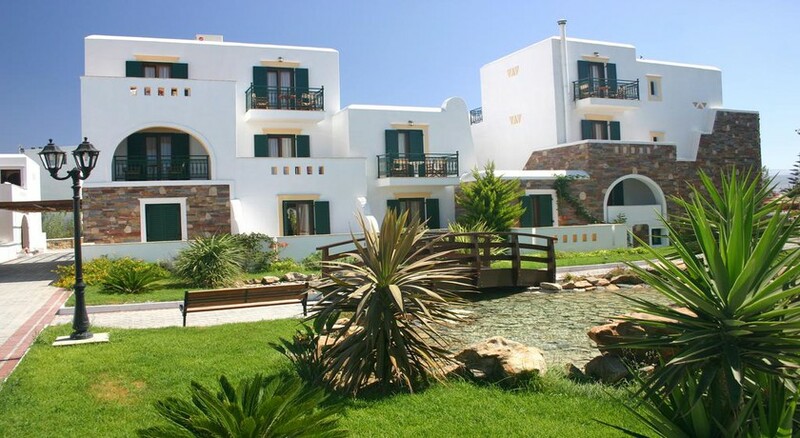 The elegant Naxos Resort Beach Hotel is conveniently located in the centre of Naxos Town, also known as Chora, yet only steps away from the beautiful, seemingly endless sandy beach of Agios Georgios. 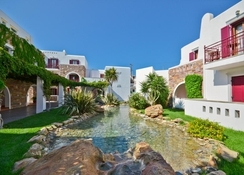 The hotel's architecture combines the local Cycladic and Venetian style and features an appealing pool area. It features a large variety of services and amenities including a restaurant with great views over the pool and the wonderful beach. 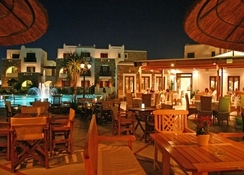 Restaurants, bars, traditional tavernas, shops and museums as well as the harbour providing ferry connections to other islands are within walking distance. Opened in 2005, the air-conditioned beach hotel is the ideal setting for a relaxing holiday in which guests need not even leave the hotel due to the multitude of facilities available for both adults and children. Pleasant surrounds, peace and quiet and top quality service make for an unforgettable holiday. 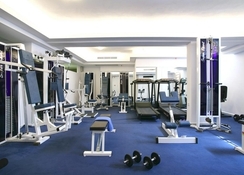 The hotel comprises a total of 91 rooms and facilities include a 24-hour reception desk, a safe, an open-air bar, a TV room, a restaurant, a dining room, a conference room, room and laundry services. A playground is on offer to children and those arriving by car are able to make use of the hotel car park.The rooms each come with an en suite bathroom, a hairdryer, a direct dial telephone, satellite/ cable TV and a radio in addition to a small fridge, individually controllable air conditioning and heating, a hire safe and a balcony or terrace. In the outdoor complex there is a swimming pool with a children's pool and a snack bar. 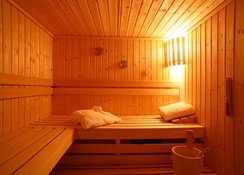 Further leisure offerings include a sauna, steam baths, a gym and a range of massage services.